Speyside single malt The Glenlivet has released a trio of new single cask Scotch whiskies exclusively in travel retail. The limited edition collection features 19-year-old The Glenlivet Fore Burn Single Cask, matured in a single Sherry cask; 18-year-old The Glenlivet Watercairn Single Cask, aged in Bourbon casks; and no-age-statement The Glenlivet Tarland Single Cask, bottled at cask strength. 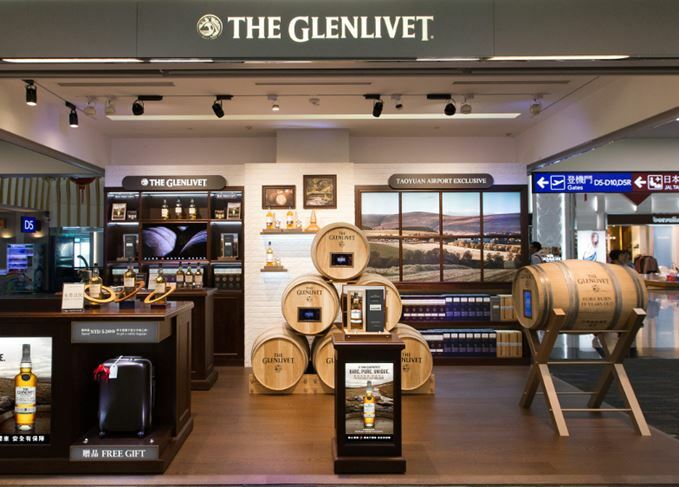 To celebrate the new releases, The Glenlivet owner Pernod Ricard is hosting several pop-ups across Asian airports, including in Taoyuan International Airport where travellers will have the chance to learn more about The Glenlivet Fore Burn Single Cask during comparative tastings with another of the brand’s travel retail exclusives, The Glenlivet Master Distiller’s Reserve. Customers who buy a bottle of The Glenlivet Fore Burn Single Cask will also be given a personalised leather neck tag displaying their initials. Hong Kong International Airport will also host a pop-up until the end of April, where visitors can learn more about the Watercairn single cask release. 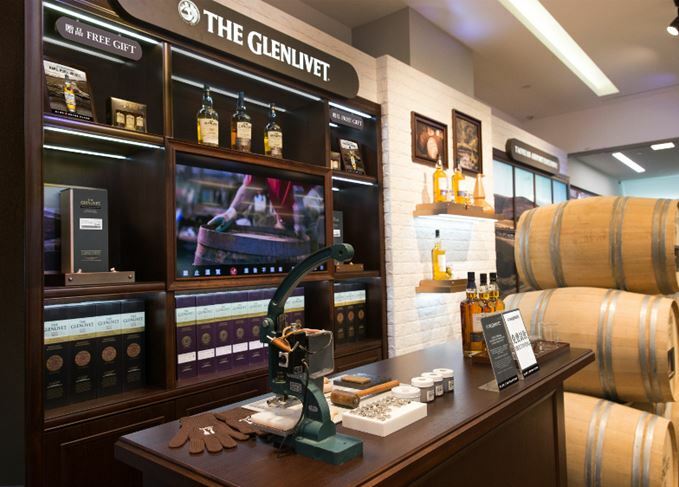 Plus, from May to June this year at Singapore Changi Airport, guests can participate in a sensorial tasting of The Glenlivet Tarland Single Cask, and enjoy a drink at The Glenlivet Bar in Terminal 2. Pernod Ricard has also released a new Chivas Regal blended Scotch whisky exclusive to travel retail – the second edition after the brand’s Chivas Regal 18 Ultimate Cask Collection First Fill American Oak Finish, launched in October 2015. 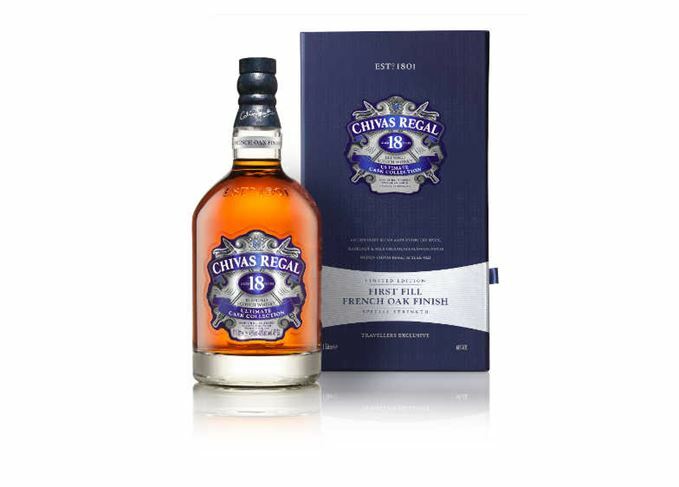 The new release, Chivas Regal 18 Ultimate Collection First Fill French Oak Finish, is a ‘re-interpretation’ of the original blend. To celebrate, Pernod Ricard will be opening Chivas Regal pop-ups throughout May this year, including in Dubai International Airport Concourse B, and tastings at a pop-up bar in London Heathrow Airport Terminal 4. The Speyside distillery’s new expression is its third travel retail-exclusive release this year. The island distillery’s Sherry Cask Collection is a ‘new signature style’ for the single malt.